I’m a mother of three kids, and at this point in my life, nearly all my friends and family have had babies, so I’ve been to tons of baby showers—including my own—and I’ve hosted a couple as well. 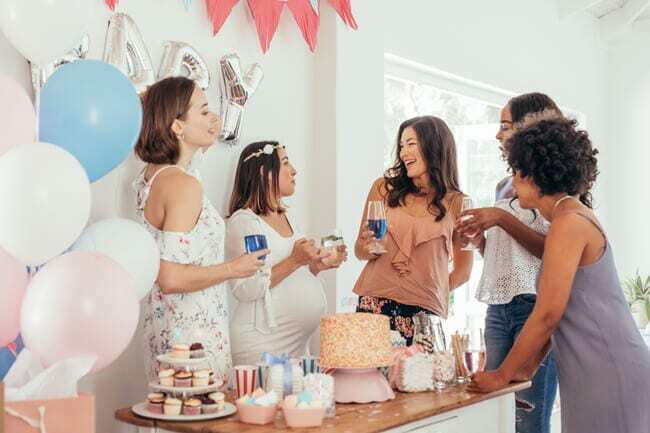 I’ve been to so many that in fact, I cannot walk into a baby shower without steeling myself to be forced to play a really awkward baby shower game that is either going to be over-complicated or take WAY too long. 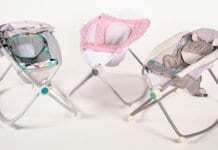 I think it’s a shame, because a baby shower should be a fun event everyone looks forward to. 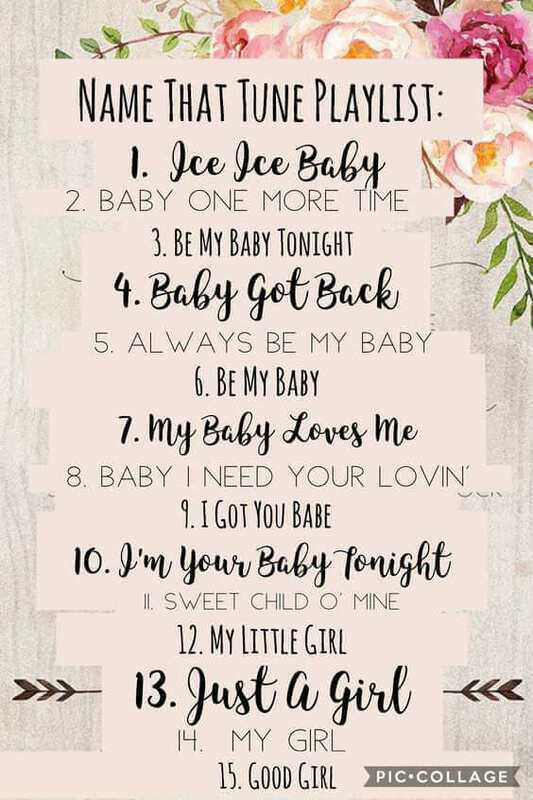 So, if you’ve got a baby shower hosting gig in your future, I’ve got some easy baby shower games for large groups that will be fun for all your guests, as well as for the guest of honor. 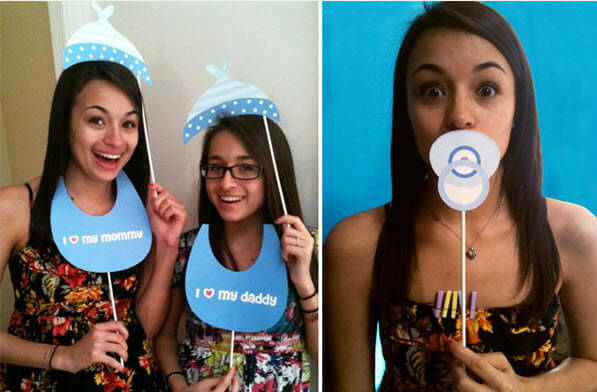 This hilarious baby shower game is a real treat! 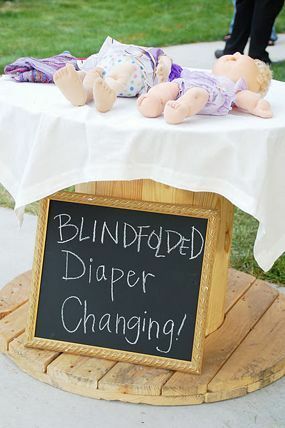 It’s inexpensive to plan and will make all your guests crack up. To play, give all your guests one wrapped piece of Bubbalicious-style bubble gum. 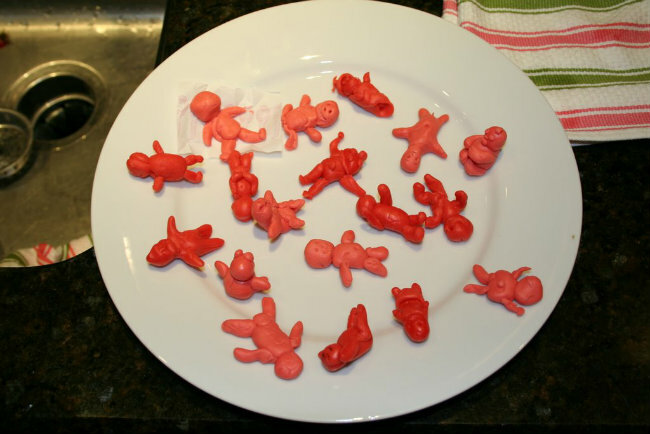 Then, set a timer and give everyone five minutes to sculpt a baby out of their un-chewed bubble gum. The mother-to-be gets to pick the winner, and everyone will have a good laugh trying to make a realistic-looking infant out of bubble gum. Who doesn’t love Mad Libs? This hilarious word game is a treat for all ages and can easily be adapted for baby-themed fun! Come up with your own hilarious story scenario starring the parents-to-be, or if you ain’t got time for that, borrow this ready-made printable from BigDotofHappiness.com. The sentence game doesn’t HAVE to be a baby shower game, but you can easily adapt it to be so. 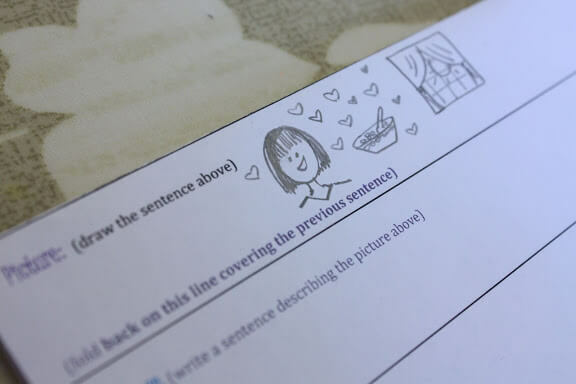 This game is sort of like a game of “telephone” – but with words and pictures! It can definitely make for some HUGE laughs, too. 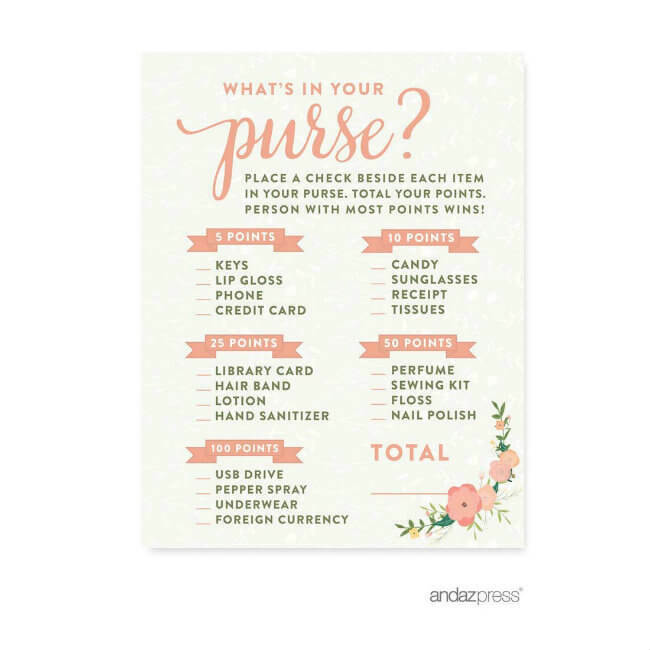 To play, just download this free printable and all the rules at The Red Headed Hostess! 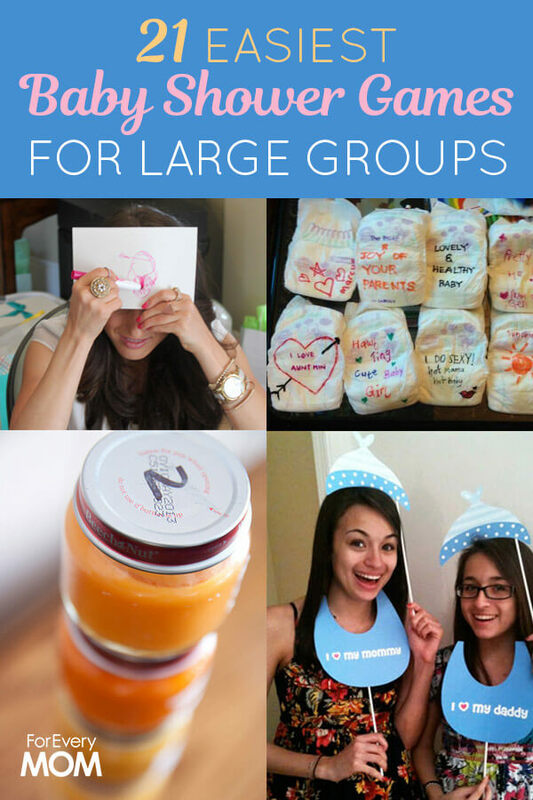 This baby shower game for large groups needs no explanation! 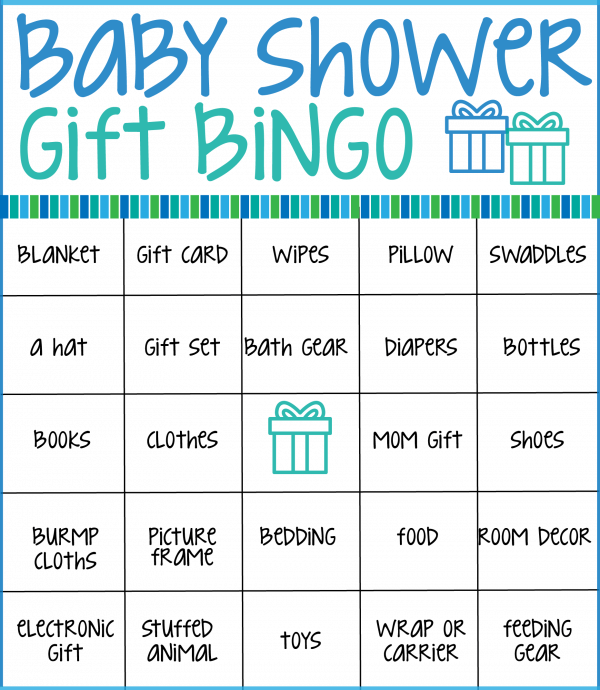 Bingo is ALWAYS fun, and you can make it fun for the shower by making or purchasing baby shower bingo cards. A great way to do this is to look at the mom-to-be’s gift registry and fill the bingo board with gifts she’s registered for. That way while she’s opening gifts, guests can also mark their bingo cards while they are “oohing” and “aahing” over all the presents. Make your own cards like the one below or purchase some on Amazon. 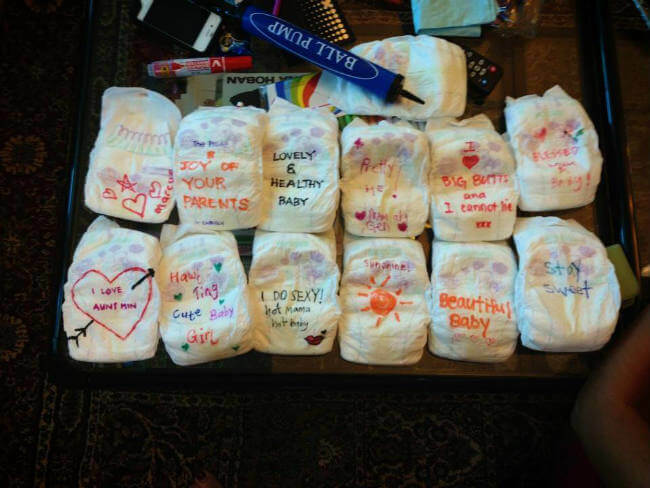 The animal pregnancy baby shower game is a fun game to remind us that…it COULD be worse! 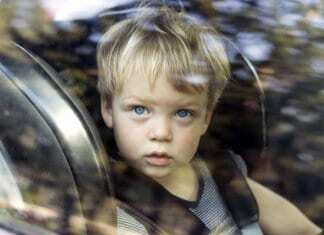 I mean, we gestate for 40 weeks, and an elephant is typically pregnant for 624 days! YIKES! 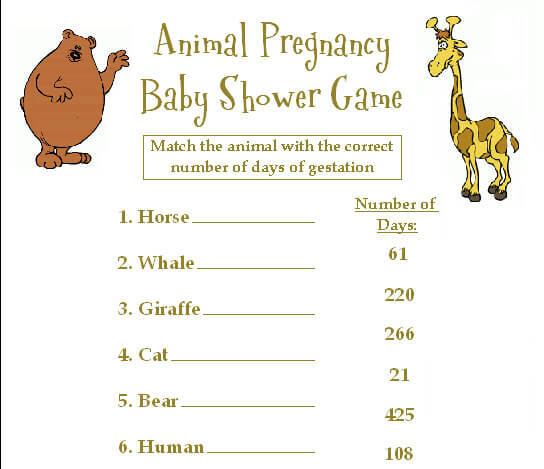 Simply download this fun printable from Plan the Perfect Baby Shower Game and have your guests make some guesses as to which animal goes with which pregnancy length!